The long-billed hermit (Phaethornis longirostris). 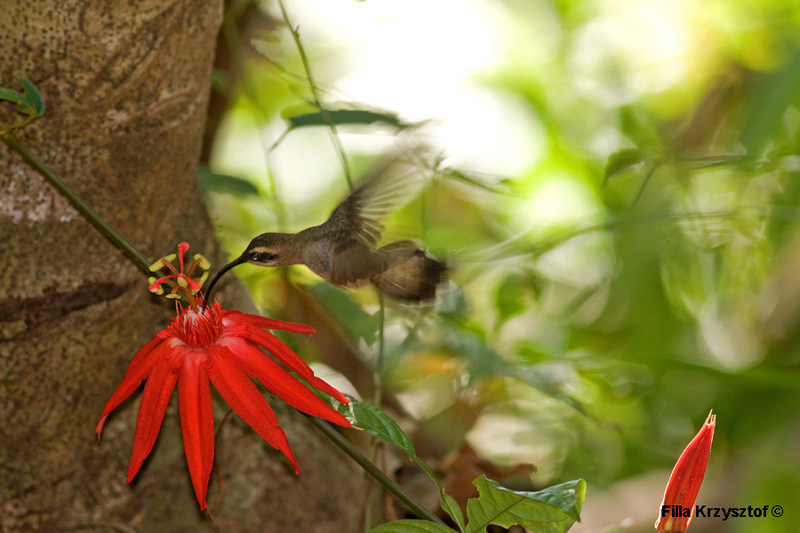 It is a large hummingbird feeding on nectar of the maracuya flower. The size of the bird is about 15cm.